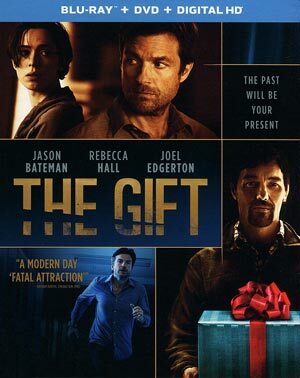 The Gift is one of the better surprises of 2015 and knockout feature-length directorial debut by Joel Edgerton and just one suspenseful and unpredictable (for the most part) film to come around in some time. 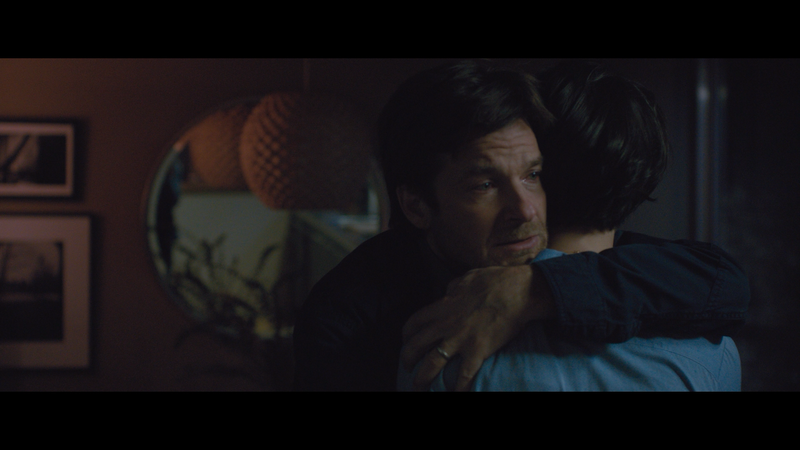 It’s well acted, especially by Jason Bateman, and at the very least well worth a rental if not all out purchase. 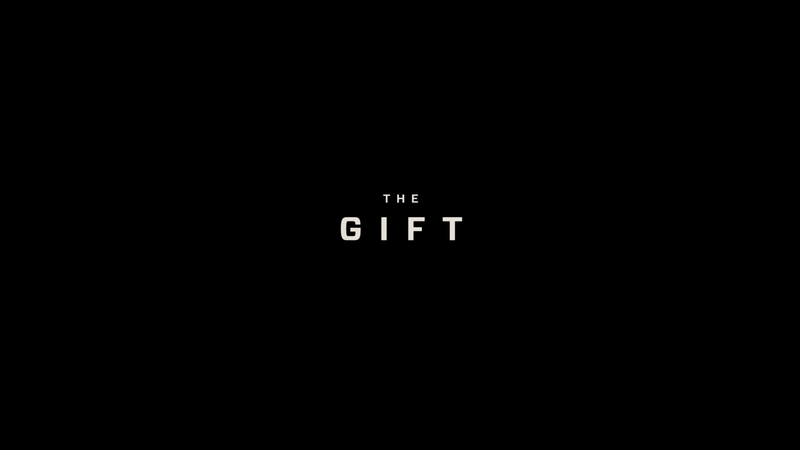 I’m not the first to say (type) this but The Gift might be the surprise movie of 2015 and although I wasn’t completely in love with it, it’s still pretty darn good with surpassed my expectations based on what I saw in both the trailers and poster. STX’s marketing really did not do this justice making it look like a run-of-the-mill direct-to-video-esque suspense thriller and instead it’s quite creative in its execution. Note: There are big SPOILERS concerning the plot, so reader beware! Simon (JASON BATEMAN) and Robyn (REBECCA HALL) have moved back to Los Angeles from Chicago after Simon takes a high-paying job and is in the hunt to become a partner at a security firm. While shopping for decorating items for their new, ultra-modern home with far too many windows, Simon is greeted by a man named Gordon aka Gordo (JOEL EDGERTON) who went to high school with Simon. Gordon gives his number though it’s apparent Simon isn’t about to call him. However, Gordon isn’t about to go away. He leaves a bottle wine at their doorstep which Robyn finds to be harmless and as thanks has Simon invite Gordon over for dinner that was more awkward as Gordon attempts to look back their days in school. From there it only gets stranger after Gordon stops by more than once to drop off additional gifts (such as fish for the outdoor coy pond) all while Simon is at work and Robyn alone in the house, though she’s kind hearted and sees no harm by Gordon’s generosity. Simon isn’t as thrilled especially when its revealed they weren’t that good of friends and Gordon had the nickname of Gordo the Weirdo. In spite of Simon’s concerns, and the warnings of their friends, they attend a dinner party at Gordon’s house which in itself was bizarre. After arriving, they find the other couple that was supposed to attend canceled and Gordon leaves them alone in the home to take a call from his work, which needed for him to leave in his car. Simon, with Robyn reluctantly in tow, takes the opportunity to snoop around as well as allow Simon to bad mouth Gordon. One can see where this is going… In any case, Gordon returns at which point Simon decides let him know in no uncertain terms he does not want Gordon to contact him or his wife again. Obviously that’s not the end of it between this triangle particularly when Robyn begins suspecting something more sinister occurred between her husband and Gordon back in the day and after being stonewalled she begins digging first discovering Simon’s security report on Gordon (who has a rap sheet) then contacts one of Simon’s old friends who reveals the truth about her husband. 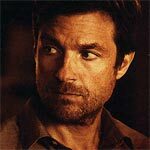 No to be outdone, Jason Bateman, who has had some good dramatic turns in the past including the underrated and overlooked Disconnect, but he’s the latest in a line of actors good at comedy who could also do drama quite well. His performance is even more nuanced than the antagonist, able to play a nice guy/good husband before flipping the script and in turn turning the audience as well. This is not a black and white film when it comes to the characters and keeps one on edge. And for her part, Rebecca Hall serves well as the meaningful wife and fares well opposite Bateman though she does get overshadowed by comparison. The Gift may not be a perfect thriller or anything with some predictable moments, yet I found it thoroughly enjoyable, keeping my locked in primarily on these characters and the mysteries uncovered leading to a suspense-filled third act. I don’t know if this is a purchase but it is well worth rental at RedBox or Netflix. This release comes with a title-embossed slip cover. Inside is the standard DVD Copy and a redemption code for the Digital HD copy. 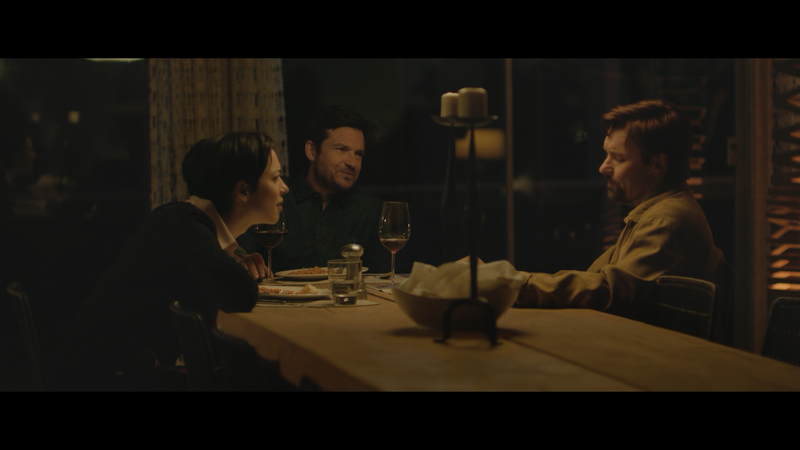 Audio Commentary – Actor/Writer/Director Joel Edgerton and Editor Luke Doolan sit down to talk about the origins of the story, casting the characters and various tid-bits on the filmmaking process in his debut. Alternate Ending (4:38; HD) – This version is far more conclusive than the theatrical one. Also includes an optional introduction by Edgerton. Deleted Scenes (7:55; HD) – We get four scenes that didn’t make the final cut or were trimmed down. As before, optional intros are available. Karma for Bullies (1:54; HD) – This is a short promotional featurette with interview snippets with Edgerton and Bateman on what drew him to writing and directing this story. 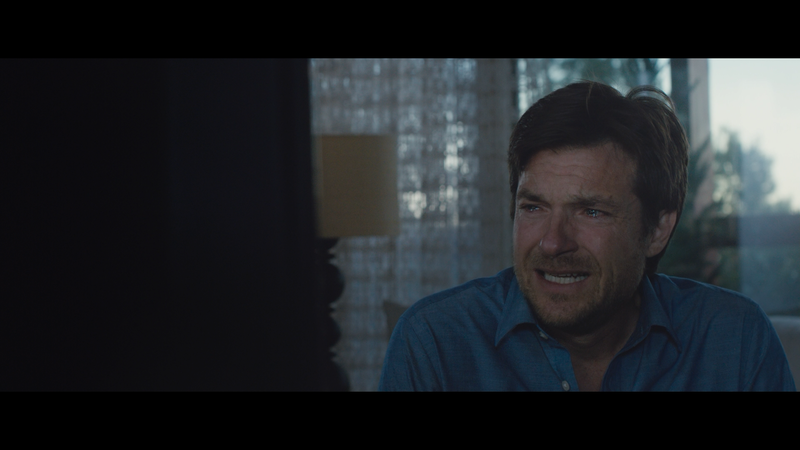 The Darker Side of Jason Bateman (1:05; HD) is another short promo about Bateman’s darker dramatic turn and why Edgerton cast him. Rounding things out is Trailer #1 (2:32; HD) and Trailer #2 (1:27; HD). Universal gives The Gift onto Blu-ray presented in the original 2.40 widescreen aspect ratio and given a 1080p high-definition transfer (MPEG-4 AVC codec). This one was a bit of a mixed bag. While colors were nice and detail sharp, the darker levels tended to be more gray than black though I am thankful it wasn’t crushed as it’d be difficult to discern what was going on in those scenes. Still, it’s a clean-looking transfer with no major instances of artifacts, aliasing or other flaws. The DTS-HD Master Audio 5.1 track offers good dialogue levels throughout which is what makes up the bulk of the audio while the score, by Danny Bensi and Saunder Jurriaans, uses the rear channels as well as the occasional ambient noises such as idle chatter and creaking sounds to up the suspense. All in all, it’s an OK track just nothing outstanding. 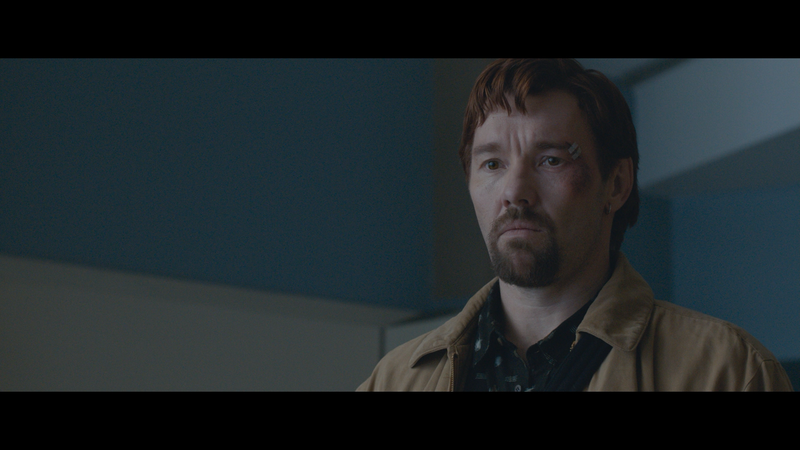 Overall, The Gift is one of the better surprises of 2015 and knockout feature-length directorial debut by Joel Edgerton and just one suspenseful and unpredictable (for the most part) film to come around in some time. It’s well acted, especially by Jason Bateman, and at the very least well worth a rental if not all out purchase. The Blu-ray released by Universal has OK video/audio and so-so selection of bonus material.